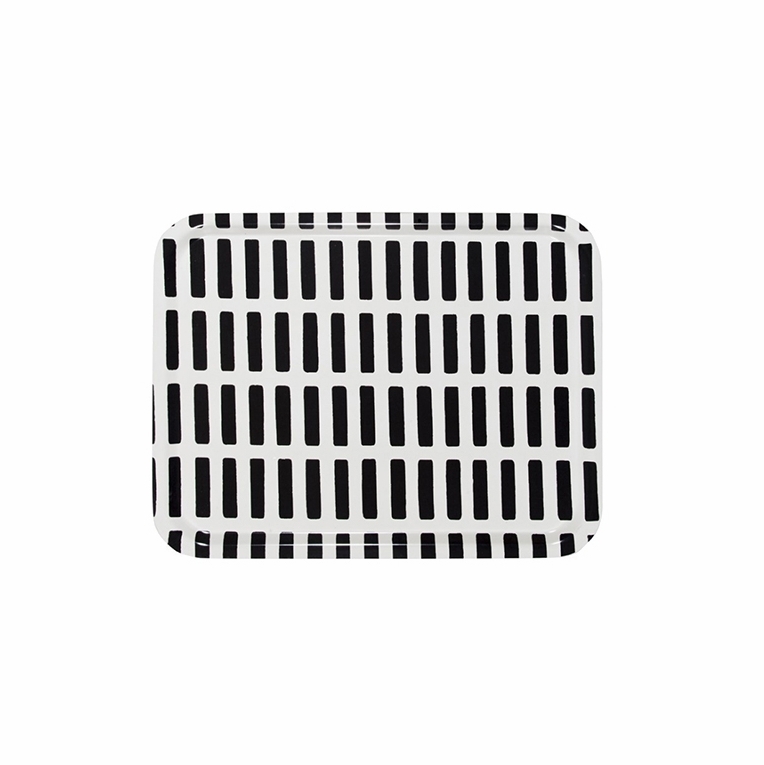 Find the perfect marriage of function and fashion on the Artek Siena White/Black Large Tray. A generous sized platter with a sturdy, plywood foundation, this tray is perfect for carrying drinks and delicacies when entertaining. Adorned with Alvar Aalto's architectural 1954 Siena print, this tray can also be used decoratively to display your other favorite Aalto trinkets such as his famous glass vases, trays and boxes. Rest it against a wall as an art piece or set it atop an upholstered ottoman. However you incorporate the Artek Siena White/Black Large Tray into your "alphabet of living," it is sure to be a smart and stylish addition. Price is for one tray.